This place is convenient to town. But it's a dump. A dump. A dump. Breakfast was very good value for the money. The restaurant was clean and the staff very pleasant. We ate in the bar restaurant in the evening due to going out early and was disappointed with the amount of food with one of the meals. I asked for a pudding to be given a selection of three items and in the end only ice cream was available, not very tasty! However because on ordering the pudding they realised there was only ice cream I was given a complementary drink. Apparently not many customers ask for a pudding. Everything you needed was in your room. The staff are phenomenal! The staff were friendly but they didn't really bother to check the location of the coach station station for me. I was directed to the wrong station, missed my coach and ended up having to pay for another coach ticket. Location great. Bed comfortable. Price good for city centre. Friendly staff. I liked having biscuits with the tea and coffee - it was late and I hadn't eaten so this was great. Lovely dark haired receptionist was very helpful with a specific issue I had. The shower was probably the best shower I've had in a hotel and the bar showing the rugby was great. Super comfy and clean. Staff were so attentive and helpful. Would deffinitly reccomend it . Within walking distance of everything. 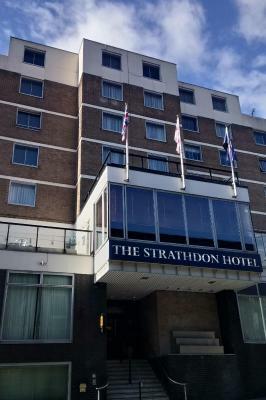 The Strathdon Hotel This rating is a reflection of how the property compares to the industry standard when it comes to price, facilities and services available. It's based on a self-evaluation by the property. Use this rating to help choose your stay! 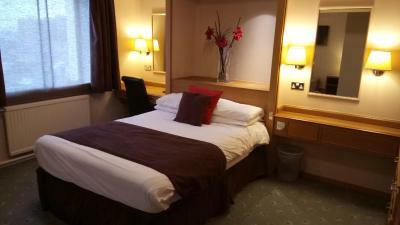 One of our top picks in Nottingham.Across from the 19th-century cathedral church of St Barnabas is The Strathdon Hotel. 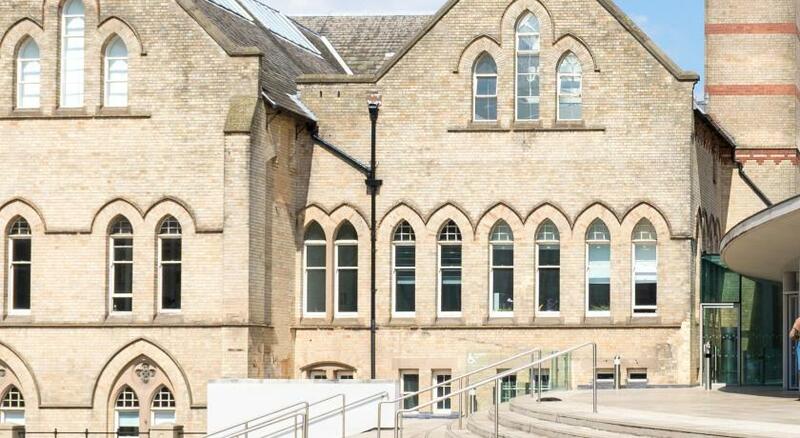 The vast Old Market Square, Nottingham’s historic shopping district, is just a 5-minute walk away. 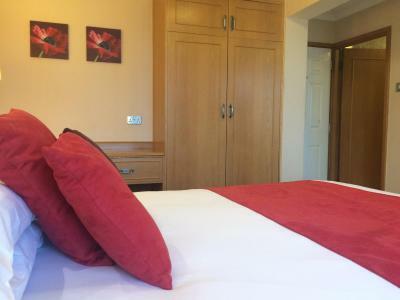 All rooms have private bathrooms and are decorated in neutral tones. Tea and coffee is provided and free Wi-Fi is available throughout the hotel. 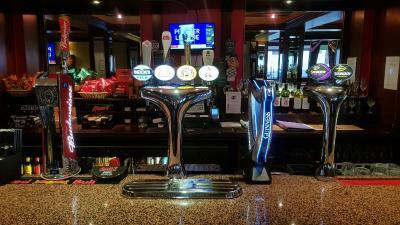 With 4 flat-screen TVs and a pool table, guests can enjoy a casual drink or light lunch in The Strathdon’s Bar 44. 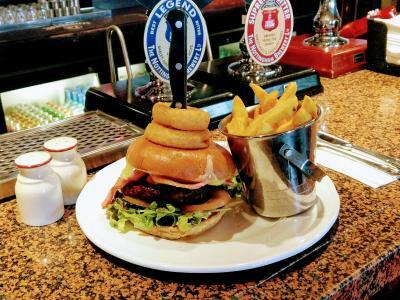 A formal dining experience is offered in the Bobbins Restaurant. Here guests can choose from a menu which is changed daily. The M1 highway is just 5 miles away and Nottingham Train Station is 15 minutes away by foot. The Royal Center tram stop is a 5-minute walk away. On the site of a medieval castle, the Castle museum and art gallery, and its man-made caves are under a 10-minute walk away. 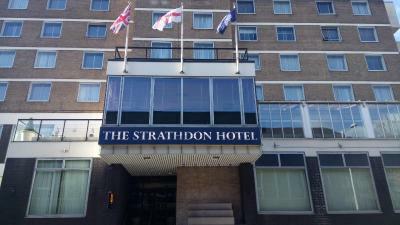 When would you like to stay at The Strathdon Hotel? 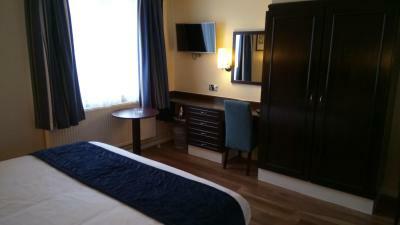 This double room has a satellite TV, seating area and DVD player. 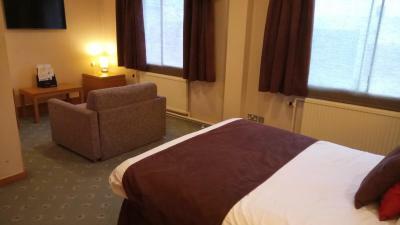 This twin room has a sitting area, satellite TV and a DVD player. 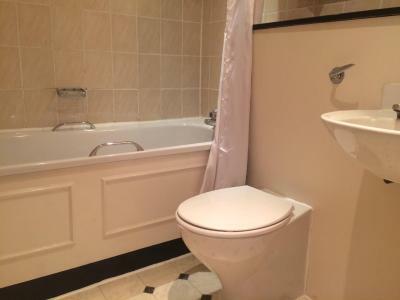 A private bathroom, satellite TV and a DVD player are featured in this room. Spacious room with lounge area. 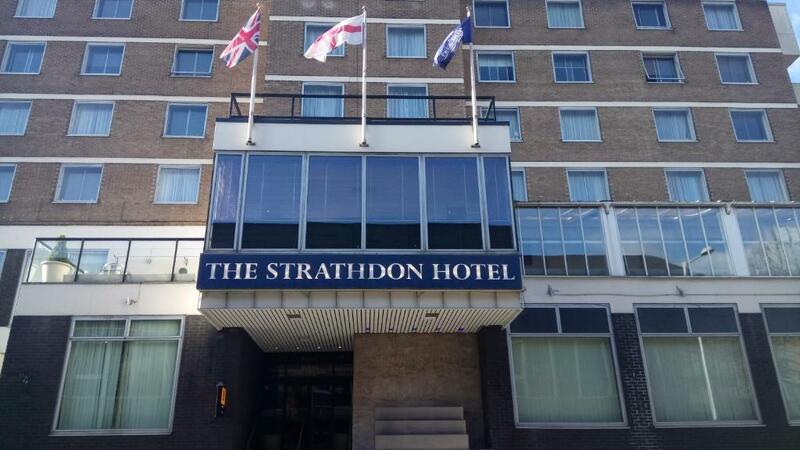 On behalf of all the of the team here at The Strathdon Hotel, I would like to thank you for your interest in our hotel. 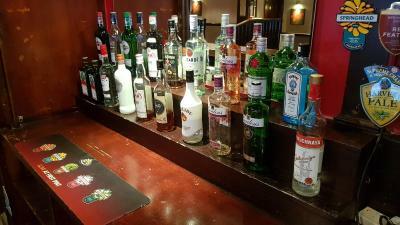 The team at the Strathdon Hotel has a combined hospitality experience of over 100 years and pride ourselves on the customer service we offer. 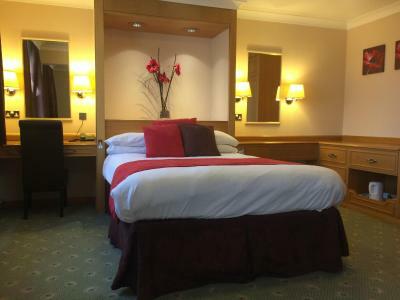 If you are looking for a hotel in the heart of Nottingham with exceptional service standards, then please look no further. We look foward to welcoming you. 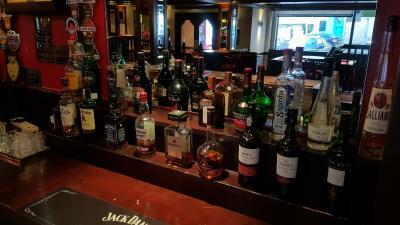 House Rules The Strathdon Hotel takes special requests – add in the next step! 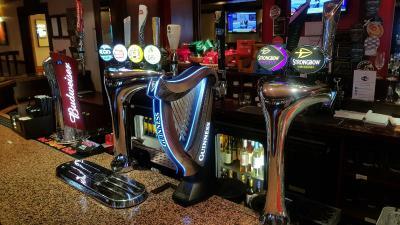 The Strathdon Hotel accepts these cards and reserves the right to temporarily hold an amount prior to arrival. The car parking was very expensive and about a 3 minute walk. Stains on the bedding. Blood on the wall above the toilet. Hairs in the kettle. The towels smelt damp. No aircon so struggled to sleep at all as the room was so hot, and no plug sockets near the bed so the fan provided was no use as was to far away. A very nice room, very clean and modern. Everyone was helpful and accommodating! 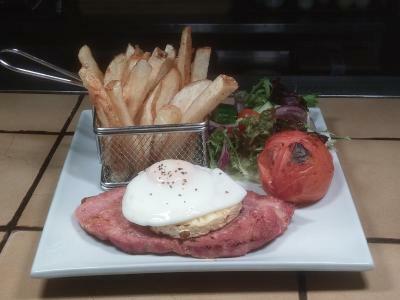 The breakfast was outstanding, delicious crispy bacon and perfect fried eggs. We also were treated to their special steak night. 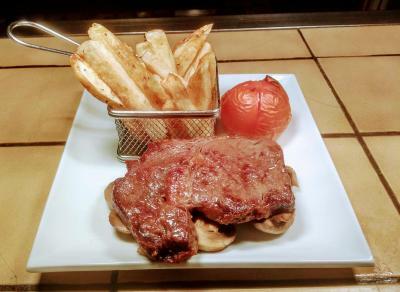 Our steaks were cooked beautifully and the chips were golden. Easy check-in and check-out process. 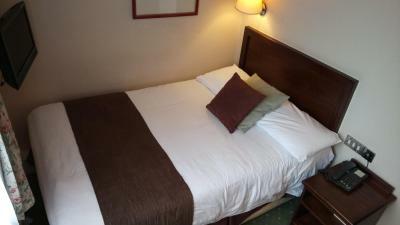 Bed was very nice.. staff were very good. Parking was non exsistant. Shower was way to small, no open window either.. lifts were very small had to take the stairs. Just needs the lifts updating. Very clean & tidy great location for shopping, lovely breakfast. Very friendly helpful staff. Friendly front desk. Bed - not comfortable at all. Not the cleanest hotel. It was somewhere to sleep. Everything's old and used up. The bed was a nightmare--so worn out it was curvy in the middle. The iron was coated with old starch. Everything just looked 20 years past prime. 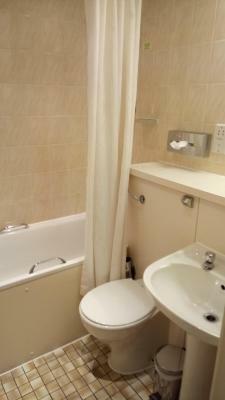 Easy to find, very close to centre, shower powerful , towels fluffy, clean room. Helpful staff , nice breakfast. Good price. Very happy with stay. 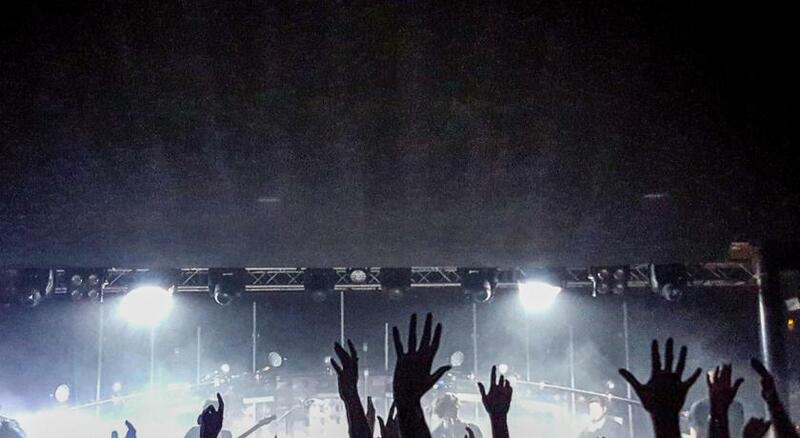 Great location for Royal Concert Hall. Comfortable, clean room. Excellent breakfast. Appalling room, really noisy, with the sort of DIY double glazing my nan installed once in the 70's, it did nothing to prevent any of the street noise, the bathroom was small, cramped and when you drew the shower curtain, you were fundamentally in the dark, tv was tiny and fixed so low to the wall that when you were in the bed, you couldn't properly see it. Breakfast was appalling, food was cold, coffee and toast was cold when brought to the table. Staff were more interested in chatting amongst each other than attending to guest even though were only around 8 people having breakfast. We asked for extra milk for cereal and had to ask twice and it took 10 minutes to receive it. 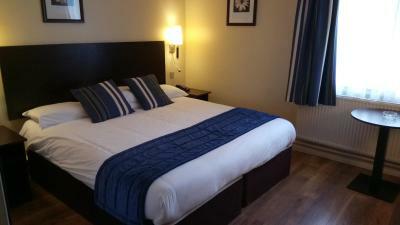 Location is good, Room was ok. Staff on reception friendly and helpful.